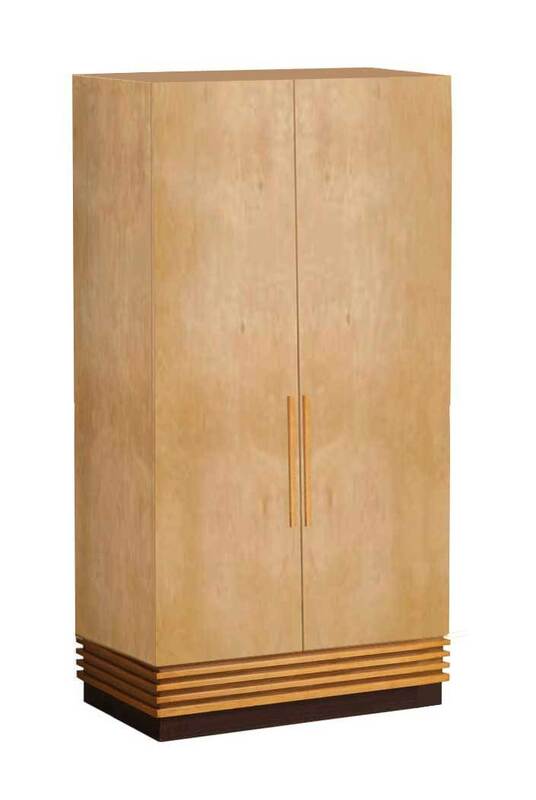 This is a really elegant Art Deco wardrobe, in a veneered wood finish. What really gives gives it some visual flair is the use of streamlined 'speedlines' around the base plinth. 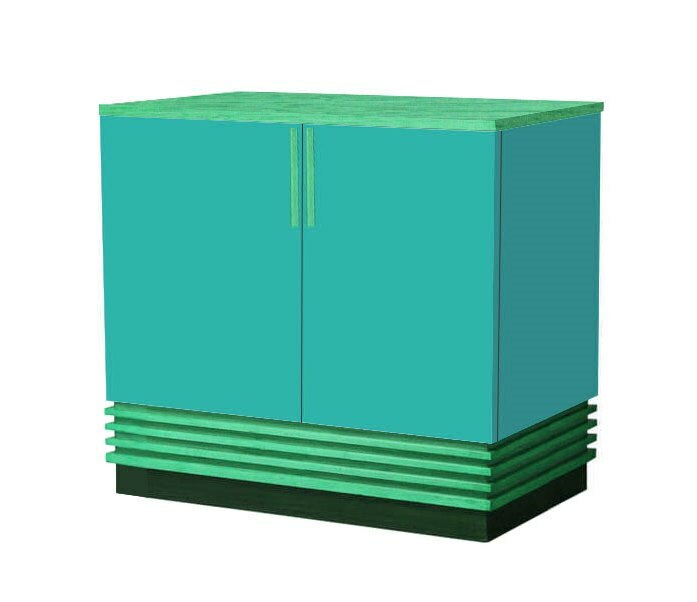 While shown as a 2 door robe it can be supplied in 3,4, 5 or 6 door sizes. You can even step the front out in a run (breakfront). A matching bed headboard has been designed & will be added shortly. These robes can also look great in a lacquered coloured finish (as exaples below). 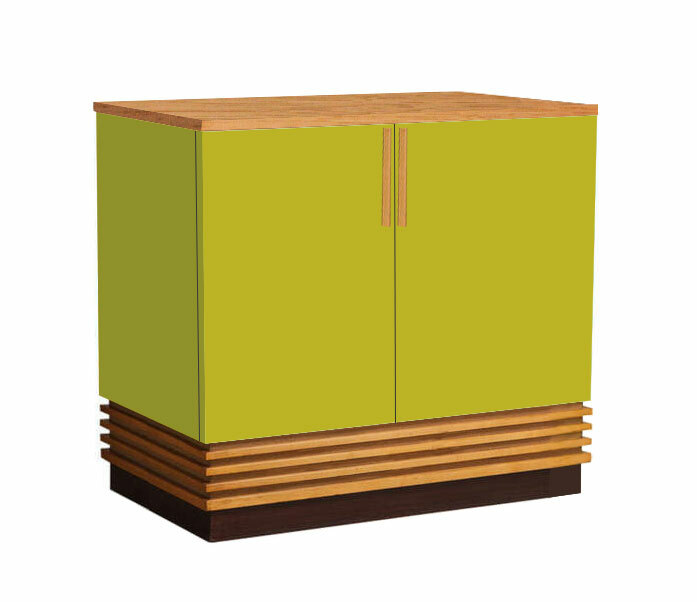 You could have this wardrobe as a freestanding or built-in robe, with 2, 3 or 4 door versions. The interior can be fitted out as you like. Made to order. We don't give out sizes until we've agreed a spec. with a client.